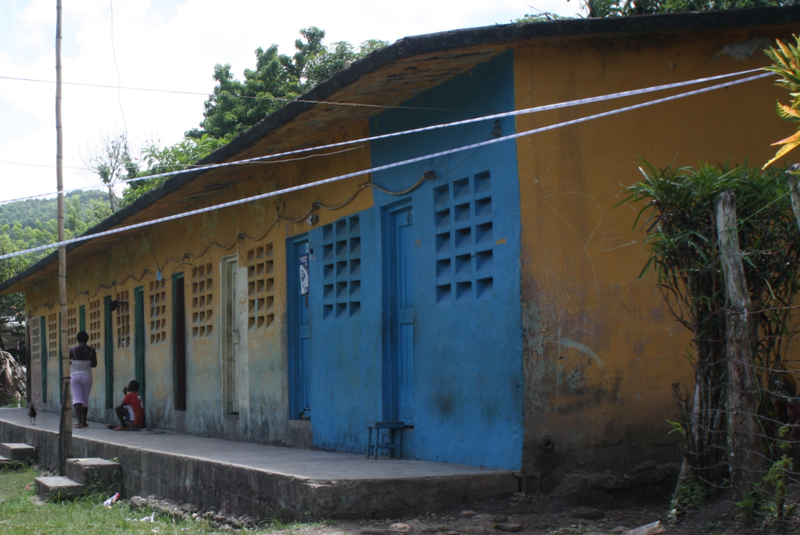 In a maze of cement barracks and tin-roofed homes on the north coast of the Dominican Republic, a community health worker named Cedric walks down a narrow path. He visits and delivers medication refills to the eight patients he cares for, all of whom suffer from high blood pressure or diabetes. Cedric checks their blood pressure and blood sugar, counsels them on nutrition and physical activity, and ensures they are following up with their primary care doctor – providing the continuity and support that is crucial for living with a chronic illness. "I have to tell you," he says in his lilting Spanish laced with a Haitian Creole accent, "it is always a pleasure to do this work. But most importantly, the community sees and believes that Health Horizons International is committed to them." Health Horizons International is dedicated to strengthening the Dominican Republic health system's capacity to provide dignified, quality health care to low-income patients, and to prevent illness through public health measures. Our work revolves around empowering community health leaders, partnering with and strengthening primary care centers, and promoting patient access to quality prevention, treatment, and management services. Your gift enables us to continue making a difference. We are the only organization on the north coast of the Dominican Republic that combines a Community Health Workers Program with direct provision of primary health care, and incorporates a special focus on chronic disease. We develop on-the-ground programs in four "core" partner communities to understand what works, and scale our best solutions through strategic partnerships with primary care clinic networks and nationally-driven initiatives. Our model is the only one of its kind in a region where 45% of the population lives in poverty, which gives us the evidence and experience to make a long-term impact on community health at the national level. To learn more about our model, please visit our website. Through a comprehensive approach to medicine and community health, we are changing the way patients, communities, and the health system work together to give everyone the opportunity of a healthy life. Thank you, gracias, for supporting our mission. Funeral expenses for Eugenia Lopez. Repair work on HHI's community center in Severet. What you all and Laura McNulty do are phenomenal! Thanks for all that you do! Keep up the great work! We are making this donation to help support HHI's critically important and life-changing work in the D.R.